CANNED PINEAPPLE SLICE “Canned pineapple has sweet tangy flavor which is a great compliment to all types of dishes such as beverages and desserts, appetizers, main dishes, salads, side dishes. “Dried pineapple holds onto its sugar content, however, and is two to three times higher in calories than raw pineapple. As a snack, it is an effective low-fat way to get some quick energy. 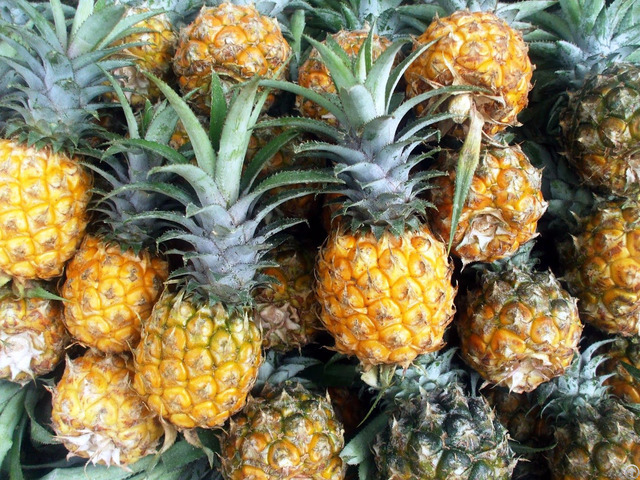 “Pineapples belong to the Bromeliaceae family, from which one of its most important health-promoting compounds, the enzyme bromelain, was named. “Freezing doesn’t significantly reduce the nutritional content of fresh fruit and may even help preserve some water-soluble vitamins. As long as we choose fruit with no sugar added, frozen fruit may be just as good as fresh options in your breakfast smoothie. “A pineapple’s core is very hard, and not as sweet as the rest of the pineapple, so we usually don’t want to eat it. But it is still very aromatic and nutritious. We should chop the cores into smaller chunks, about 1 or 2 cm long, and keep them in the freezer. Blend the core in a good blender like a Vita-mix, to make juice, or smoothies, together with other fruit or vegetables. 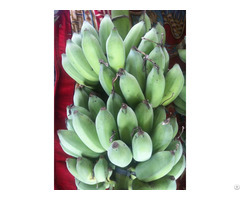 “When we walk pass a pineapple stand in the market, the beautiful fragrance always invites us to take one home with us. But when we get home, the first thing we do is to chop off the pineapple skin and throw it away. Sure, no one wants to eat the hard pineapple skin, but it has a fragrance that can actually contribute a great deal to our cooking. Add the pineapple skin when making vegetable, fish, chicken, pork, and beef broth or use them to make Thai tom yum soups, Korean kimchi soups, or Chinese hot and sour soup. Exporting Standard And Quality: 1/ Washed. 2/ Intact firm, Green color and good uniformity. 3/ No black part or rotten part.